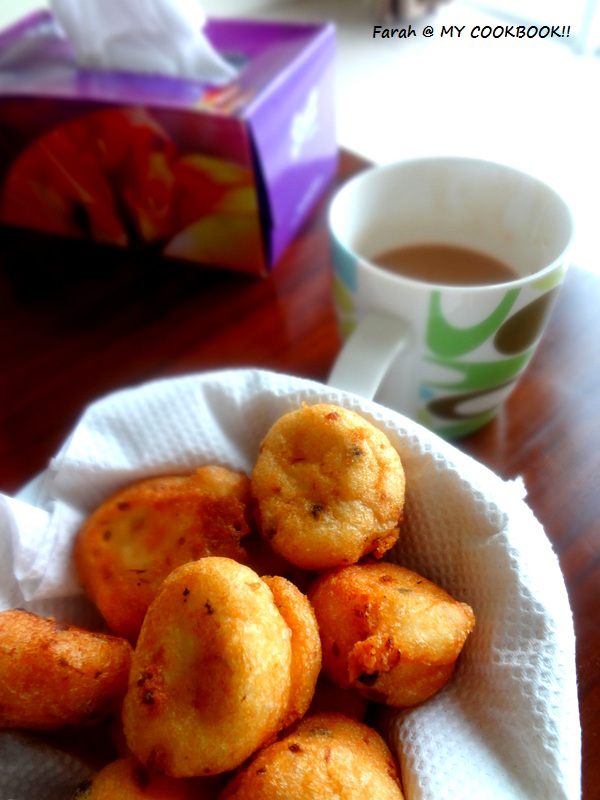 This is very similar to ulundhu vadai. Much simpler to make because you just dont have to worry about the perfect round shapes with the perfect holes!! 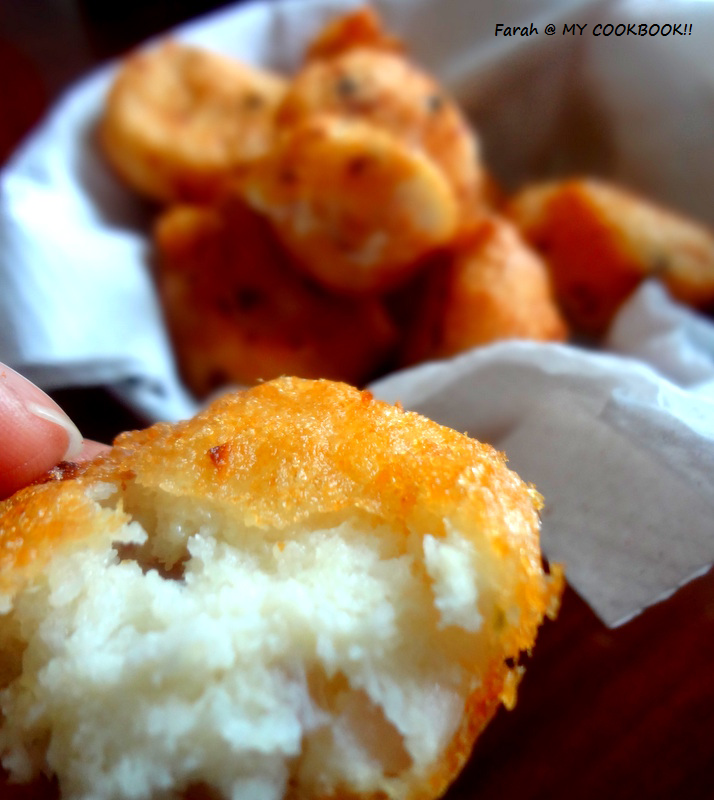 Just simply scoop the batter in your fingers and roll them into a ball shape and then fry them. One of the very few things my fussy daughter just loves!!........phew! Thank God for that! Soak the urad dal and basmathi rice (if u are using) together for about 3-4 hours. Wash well and drain. 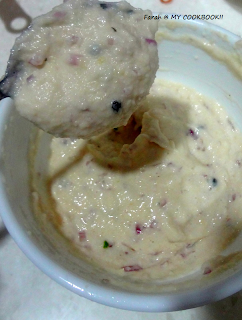 In a food processor, blend the urad dal and rice with only necessary amount of water to form a paste. The more water you add the more oil it will absorb while frying. Heat oil for frying. To check if the oil is ready for frying, drop a tiny bit of batter into the oil. If it sinks to the bottom and them immediately rises to the surface its ready. keep a bowl of water near you to dip your fingers each time you scoop some batter (so it doesnt stick to your hands) Shape the batter into balls of desired size and drop them into the oil. cook on low or medium flame. when it starts browning flip them over . Delicious. I never knew rice was also added to mysore bonda. Gonna try out urge way too. Those crispy beauties are just fabulous,makes me drool. 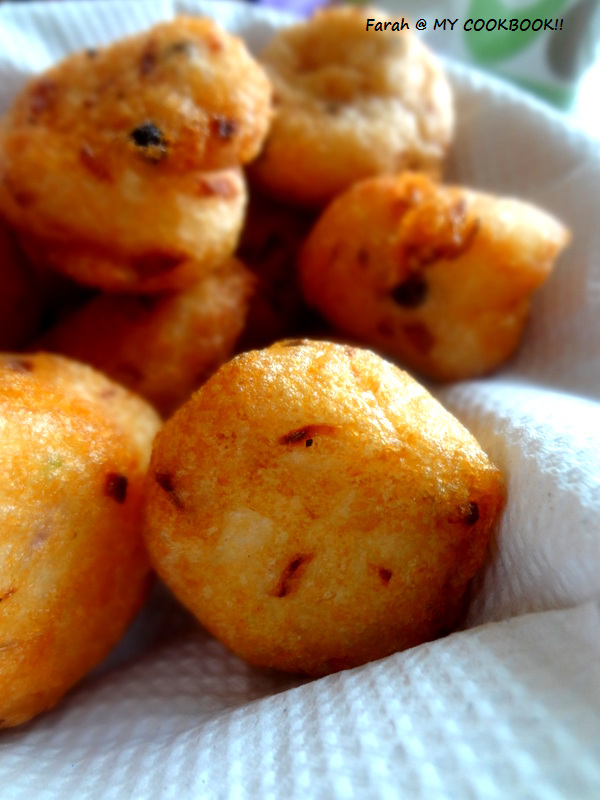 These bondas and some coconut chutney, perfect snack..
Mysore bonda looks crunchy. Perfect snacks with a cup of tea.